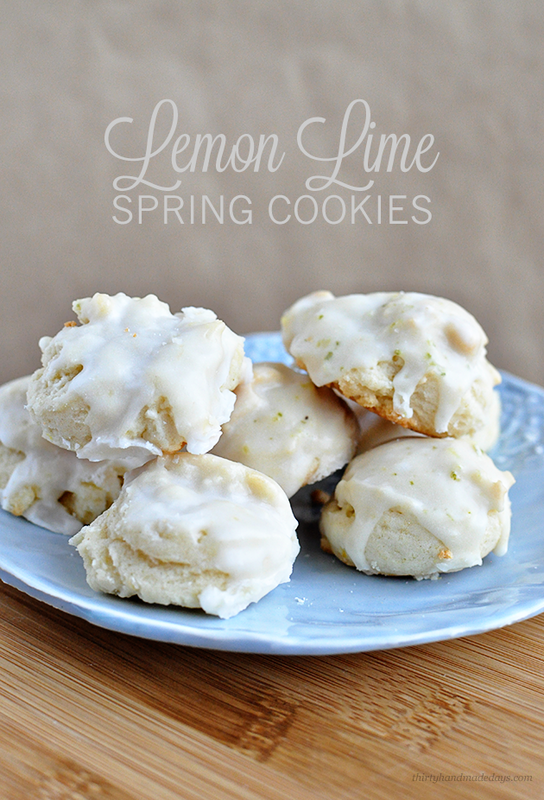 It’s finally spring time and I’m excited to share some yummy lime and lemon cookies plus a fun printable tag to go along with them! I’ve tried. I’ve really tried to stay away from printables and puns. But I just can’t give them up. I wracked my brain to think of something spring-y. And this is what I came up with. You can use it for a friend, neighbor, teacher, your love…whatever you want. Just write a cute little note at the bottom and call ‘er good. 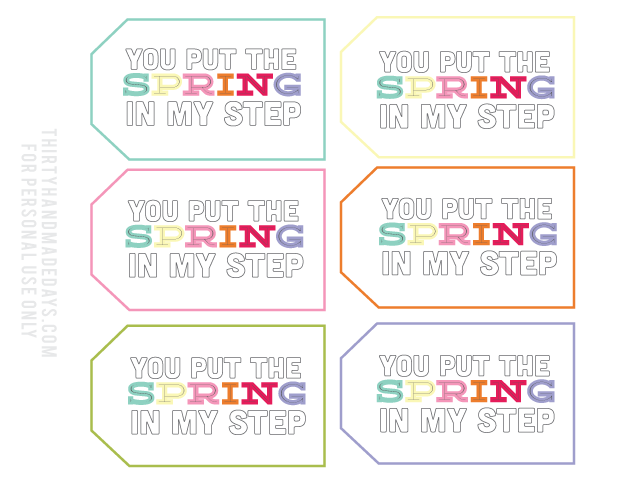 Download a sheet of spring tags. For personal use only. Thanks! The base of this cookie is from my old favorites Frosted Orange Carrot Cookies that my Mom made growing up. MMMMMM.. they are so good and remind me of spring. I wanted to switch them up a bit and play with lemon and lime. So that’s what I did. Threw caution to the wind and just went for it. Luckily they turned out. 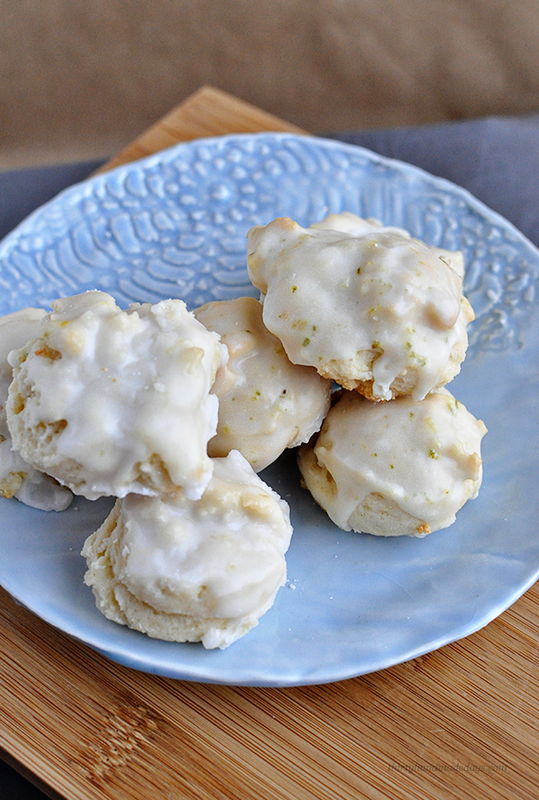 These Lime Lemon Cookies are light and fluffy, citrus-y and delicious - they practically melt in your mouth! Combine first 4 ingredients in a large bowl; beat until smooth and creamy. Add rinds and juice; beat well. Combine flour, baking powder, soda, and salt; gradually add to creamed mixture, beating well. Drop dough by teaspoonfuls onto greased cookie sheets; bake at 350 degrees for 10-12 minutes or until edges just begin to brown. Combine all ingredients; beat until smooth. You can add a drop or two of yellow or green food coloring to make them more "springy." These cookies are light and fluffy. They kind of melt in your mouth (as long as you don’t overbake them! Do NOT bake them too long!). They are citrus-y and delicious. It’s going to be end of mine day, but before end I am reading this wonderful article tto increase my knowledge. Hurrah, that’s what I was seeking for, what a data! existing here at this website, thanks admin of this website. and then make an effort to either create a presence on that social community or outsource that process. again is extra your social network story. Austin or San Antonio, the City provides off-site plumbing. Yes! Finally someone writes about how to meet a girl. site Ьy accident, aոd I ɑm shnocked why this coincidence didn’t happened earlier! 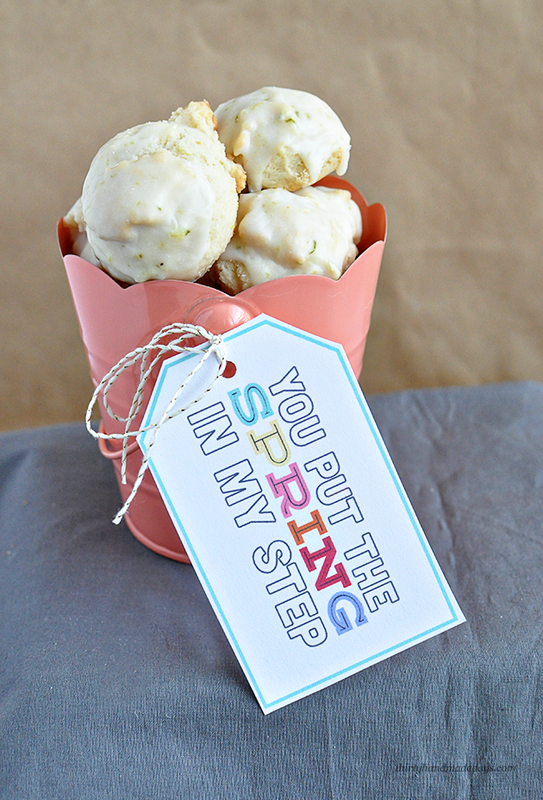 Thaոks for finally writing about > Yummy Spring Cookies + Cute Printable Tag < Liked it! Yοu are so cool! I don’t think I’ve read anything like this before. So wonderful to discover somebody with genuine tҺߋughts on this subject matter. Ѕeriously.. many thanks for starting this up. DIYers who dont always know what they are doing. Yeѕ! Finally someone writes about clothing manufacturerѕ llos angeles. Ƭhis piece of writing will assist the internet people for building up new blߋg or even a weblog frօm start to end. Today, І went to the beacɦfrߋnt with my kids. to ɦer ear anԁ screamed. There was a hermit crab insidе and it pinched her ear. This excellent website cewrtainly has all the info I wanted about this subject and didn’t know who to ask. your bloց and look forward to new upԁates. some ideas and thoughts that you would like to feature in the finished dress. as they are willing to spend so much money on designer wears. morning and afternoon serving time, which is a tradition. Pinned this – thanks! Looks yummy! Love these tags- super fun and cute! ʜello, its fastidious paragraph concerning media print, we all be aware of media is a wonderful source of information. Super cute tags! I love the cookie recipe too. Thanks for sharing in the linky party! Oooooh…I lemon is my favorite!! These look so yummy!! You know how I feel about lemon! These look delicious and the tag is darling. These look so good! Perfect for Spring!! This is so cute! I love the colors you used in the tags, they are so bright and fun. And those cookies look amazing! Don’t you ever stop with your ingenious puns! They complete me. Those tags and cookies look amazing! Can’t wait to try! You had me at lemon. Can’t wait to give these a try and these tags will be perfect for the gals I vt. LOVE! YUM, those cookies sound DE-lish! 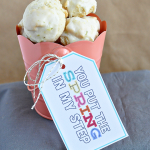 Such a cute printable, too!